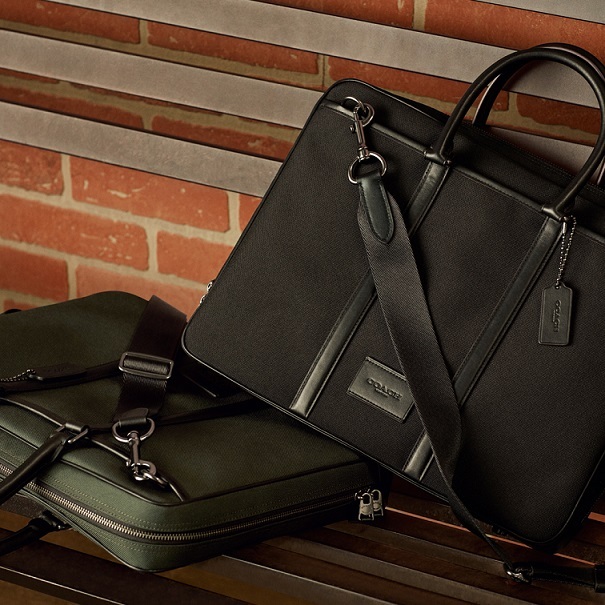 INVISTA's CORDURA® brand has recently teamed up with Coach, a global design house of modern luxury leather goods, apparel and lifestyle accessories to integrate a light weight, eco-efficient material to its signature men's silhouettes. Designed for living and crafted to last, the collection now includes six new styles featuring signature Coach leather trimmed accents combined with durable CORDURA® fabric made with recycled fiber technology. Styles now available with eco-efficient CORDURA® fabric technology include the Academy Backpack, Metropolitan Brief, Metropolitan Camera Bag, Metropolitan Tote, Explorer Bag and Explorer Bag 52. The bags are designed with the "modern man" in mind, offering classic silhouettes and functional features for limitless adventure. "For more than 50 years, the CORDURA® brand heritage has been deeply rooted in travel gear and carrying solutions, and we're excited to partner with Coach as they extend their Metropolitan collection crafted with lightweight, durable fabric solutions," said Cindy McNaull, global CORDURA® brand and marketing director. "Through this collaboration, we're able to demonstrate that durability isn't only for the extreme - it can be embraced in every facet of our lives for long-lasting stylish products that stand the test of time." The bags are available now globally at Coach stores and online at www.coach.com. INVISTA's CORDURA® brand essence celebrates individual durability: As Long As The World Is Full Of Durable People, We'll Keep Making Durable FabricsTM. Known for its resistance to abrasions, tears and scuffs, CORDURA® fabric is a primary ingredient in many of the world's leading high-performance gear and apparel products ranging from luggage, upholstery and backpacks to footwear, military, workwear and performance apparel. The CORDURA® brand is a trademark of INVISTA, one of the world's largest integrated polymer, intermediates and fibers businesses. To learn more about INVISTA's CORDURA® brand, end-use products, and marketing tools please visit www.CORDURA.comand follow us on Facebook, Twitter, Instagram, LinkedIn and YouTube.